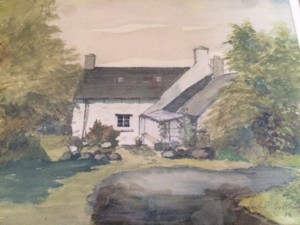 I've always had a passion for food, cooking and a love of health; I can trace it back to the halcyon days I spent as a child at my grandparents farm in Wales, UK. I used to watch my grandfather collect honey from his beehives, help my Granny scoop up freshly laid eggs from her hencoop and pick herbs and vegetables from her garden which she created into culinary masterpieces. It was a little piece of paradise which made a lasting impression on this then small 'beet'. Sent to boarding school at the tender age of seven (a Royal Navy brat), I had no other option but to eat unhealthy school food (think pork, mashed potatoes and treacle tart) which started me on the road to chronic constipation, candida, anemia, low school grades, tummy-aches and days of blobbing in front of the TV. However, during the school holidays my taste buds and health would be re-awakened with the nutritious meals my mother would make as I hovered around the kitchen stove, trying to be her sous-chef. A former model, she taught my sisters and I how to choose healthy food and avoid refined sugar and processed foods; Soups and stews were regulars at the dinner table, along with plenty of fresh vegetables straight from my father’s vegetable patch. At home, eating her fresh, natural food, I just felt well and full of energy and I would dread going back to boarding school, knowing I would feel lousy. My life took at an unexpected and fortuitous turn when I moved from London to Toronto, having married a Canuck. Together we co-managed and operated The Toronto Athletic Club, the city’s premier squash and fitness club. It was an exciting time and I loved the energy in the club, interacting with my members and of course keeping fit myself. However, over the years, I watched as members work their 'bottoms' off but just could NOT reach their health goals. When they came to me for help, it was always their diet that seemed to be holding them back. Most of their 'go-to' foods were high sugar, simple carbs and unhealthy fats, often washed down with pop, caffeine and not enough water. At this point in my life I only had a layman's knowledge of nutrition but it was enough to connect the dots that fitness alone was NOT enough to move the needle of health - nutrition had to be an integral part of feeling, looking and being healthy. Given what I had experienced at the Club, I was really eager to expand my knowledge of nutrition. I enrolled at The Institute of Holistic Nutrition in Toronto, excited that it also seemed such a natural fit with my culinary and fitness experience. During my studies, I discovered how the right nutrition can transform and heal our bodies with its limitless powers and I knew I had found the tri-factor for optimal health and vitality - nutrition + cooking and eating healthy foods + fitness. Soon I was applying all my training and experience to my own life and yes, you've guessed it, I started to feel healthier, happier and had more energy than ever before. I balanced my system and with that, my chronic health issues cleared up. It was like a whole other world had opened up to me.